When Harry and Jamie move into their new home, Gnome Gardens, they’re sure there’s something creepy going on. The spooky house is full of weird carvings and mysterious passageways – and their neighbour Milly says that there’s a curse on it! And at midnight, Milly is proved right when slimy snakes slither out of an old well and attack them! YUCK! 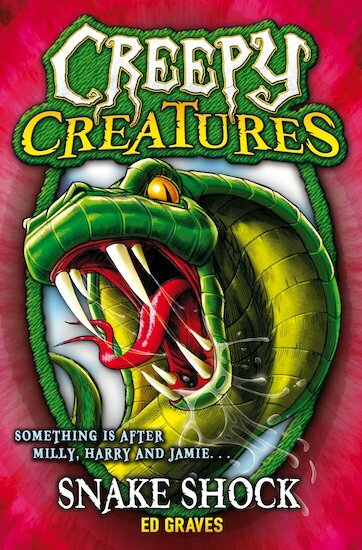 Can Jamie, Harry and Milly escape from the hideous creatures? Or are they about to become hisss-tory? Get set for groans and shudders in this monstrously spooky new series from the creators of Beast Quest!